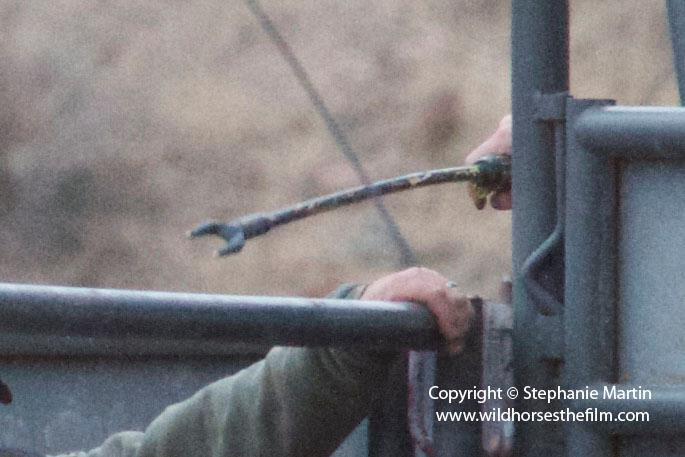 The law was made to protect mustangs & burros so why all the abuse? Why is the Bureau of Land Management (BLM),–the agency responsible for the care and welfare of wild horses and burros–allowed to break the very law enacted to protect our native wildlife and heritage animals? 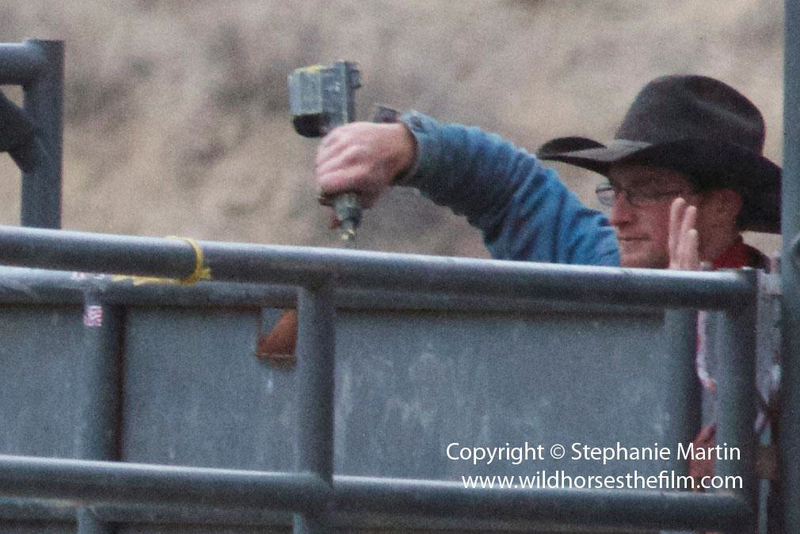 If you don’t like the photos taken by witness and filmmaker Stephanie Martin at the Owyhee Roundup then please meet with your senators and representatives to ask them to stop the abusive roundups. Is there really an overpopulation problem? It’s long overdue for an independent and accurate wild horse and burro census for each Herd Management Area (HMA). BLM’s population estimates are only that–estimates. It’s easy to count cows as horses from the air and double count horses as they roam from area to area. If there really is an overpopulation problem then using fertility control drugs on non-viable herds or sterilizing herds will be a disaster. Why? This would ruin their gene pool and result in inbreeding. Mother nature has a ‘survival of the fittest’ program in place that ensures only the strong, healthy and wise reproduce. Current thriving natural ecological balance studies on the range are necessary. For decades wild horses have been scapegoated for the damage created by livestock–especially to fragile riparian areas. Cattle enjoy standing in riparian areas all day whereas wild horses come for a drink and leave for the rest of a day. Princeton University has proven wild herds reverse desertification so livestock benefits from more abundant forage. 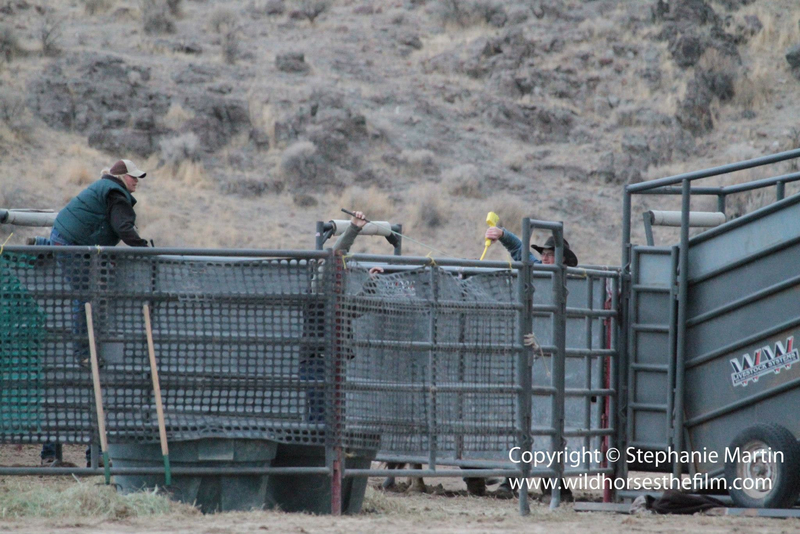 The Appropriate Management Levels (AML) for wild horses and burros were set by the Government. The Cattlemen are a wealthy lobbying force in Washington. It’s no surprise that cattle outnumbers wild horses on the range at least 50 to 1 on HMAs throughout the West. Currently the BLM uses archaic methods of range management which allow livestock grazing methods that are harsh on the land, a wide use of pesticides and extraction industry pollution. The range is being destroyed. Removing wild horses is the wrong action because the native equids can heal the range and reverse desertification. Helicopter roundups are harsh on the environment. Chasing wild horses creates unnatural stampedes zigzagging over 10-15 mile areas many times per day for many weeks. This ruins the high desert environment and disturbs species such as the sage grouse. Rounding up more federally protected native wild horses than they can adopt out fails as a management technique. Wild horses and burros end up stockpiled in holding facilities at taxpayer expense. After the cruel roundups, wild horses loose what is most precious to them–their families and their freedom. Using Range Design, which includes Allan Savory’s Holistic Rangeland Management, is a viable solution for today’s range issues. More wild horses and burros should be allowed on the range to reverse desertification, reduce fuel for wildfires and create biodiversity. This ultimately improves rangeland grazing for livestock.